I had one of those mornings where I put my shirt on backwards, spent 20 minutes looking for my phone only to find it under a raincoat I hadn’t touched in weeks, and broke up a cat fight between our warring step-cats Peanut and Arnie. BUT I also managed to plant a hosta, spread some mulch, and do a soil test. Soil tests are cool, you can basically play chemist in your own kitchen with your own dirt. The soil sample kit provides you with test tubes, chemicals, and a little color chart to measure. I wanted to find goggles and gloves and maybe a white lab coat, but figured that would make me late for work. So I just mixed my soil sample with various tablets according to the simple color coded instructions, shook vigorously, and waited. Like the moment before dawn, soft hues appeared in my plastic test tubes – green for pH, blue for phosphorous, pink for nitrate, grey for potassium. Our soil is pH neutral (yay! ), low in nitrate (boo!) medium low in potassium and phosphorous (eh.). Word is, pH neutral soil is good for most plants, so we don’t have to balance it with lime or other stuff. Our nutrients are pretty low, and since we already started planting, we can’t do a total overhaul. So were basically adding mulch, tons and tons of mulch to the surface. As it breaks down, it should feed our soil good. “Low” is relative to what you want to do with your garden. If you want to grow vegetables, most prefer a slightly alkaline (higher pH) soil. Check the requirements of the crops you want to grow. If you want to use the existing soil, you should get a professional soil test as well that includes testing for lead. Cornell Cooperative Extension provides this service for NYC. In addition to the mulch, adding compost to the soil helps address these issues. You can avoid all these concerns from the start by planning for and building raised beds. Then you have complete control over the composition of the soil. Thanks, Xris, we’re planning to get into vegetables next year as this year it’s fairly late in the season – we just moved in August 1st, and spent the first couple of weeks just picking glass and debris out of the freshly cleared garden! We’ll take a look at Cornell’s program – it would certainly be helpful to know what else is floating around in our soil. I would like to do a soil test on the soil that I thought would be a good idea to use at this season’s start, after being the home to cigarette butts all fall, winter & spring. 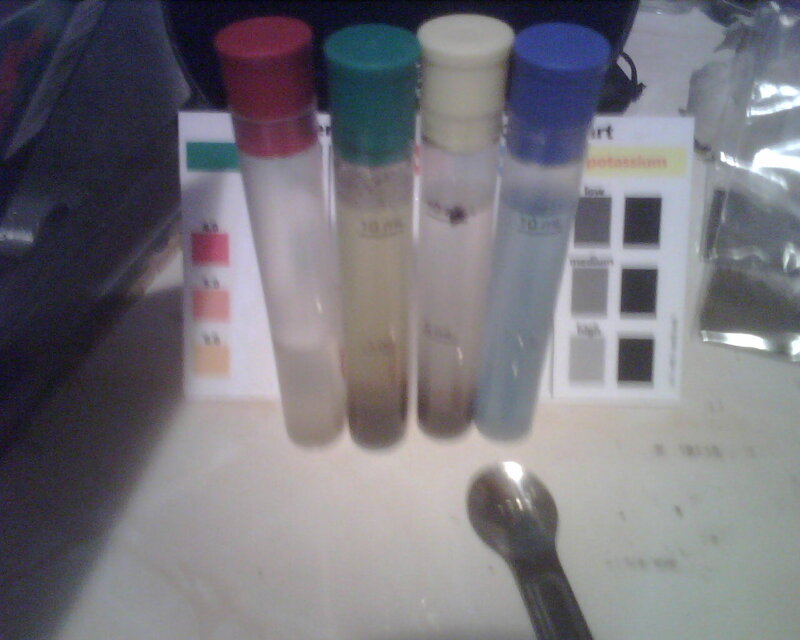 mims – i have extra soil test sample stuff! Let’s science it up!